Liberty Global’s Telenet arm is buying KPN’s unit in Belgium for 1.33 bln euros. Paying eight times 2015 EBITDA for BASE looks good value for the buyer given the scope for savings. Moving into owning mobile assets is also an important shift for John Malone’s group. The logo of Dutch telecom company Royal KPN is seen in their headquarters in The Hague. Telenet, the local subsidiary of John Malone’s Liberty Global, has agreed to buy KPN’s BASE unit for 1.325 billion euros ($1.4 billion), creating a combined Belgian cable and mobile operator. Telenet said the price equated to eight times BASE’s estimated adjusted EBITDA for 2015. The Brussels-listed cable operator is 56.6 percent owned by Liberty Global, Malone’s pan-European group. BASE is Belgium’s third-largest mobile operator, behind domestic incumbent Belgacom and Mobistar, which is backed by Orange of France. Investments in BASE’s mobile network and integration costs will total about 240 million euros, Telenet said on April 20. Telenet expects to save about 150 million euros a year by moving its own mobile customers to BASE’s network from that of rival Mobistar. KPN of the Netherlands, which is part-owned by Carlos Slim’s America Movil, said on April 2 that “several parties” had shown interest in buying BASE. 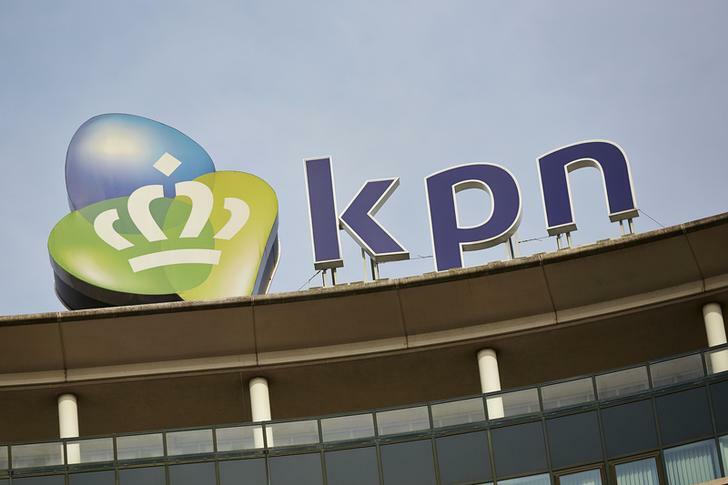 The sale comes three years after KPN abandoned an earlier auction, saying bids were too low. By 0810 GMT, shares in KPN stood 2 percent higher at 3.232 euros. Telenet stock rose 4.5 percent to 54.85 euros.